The 10% discount will automatically be deducted from your booking at the time of booking. Be quick though this offer only applies to new booking made between the 1st September 2018 and midnight 30th September 2018 CET. 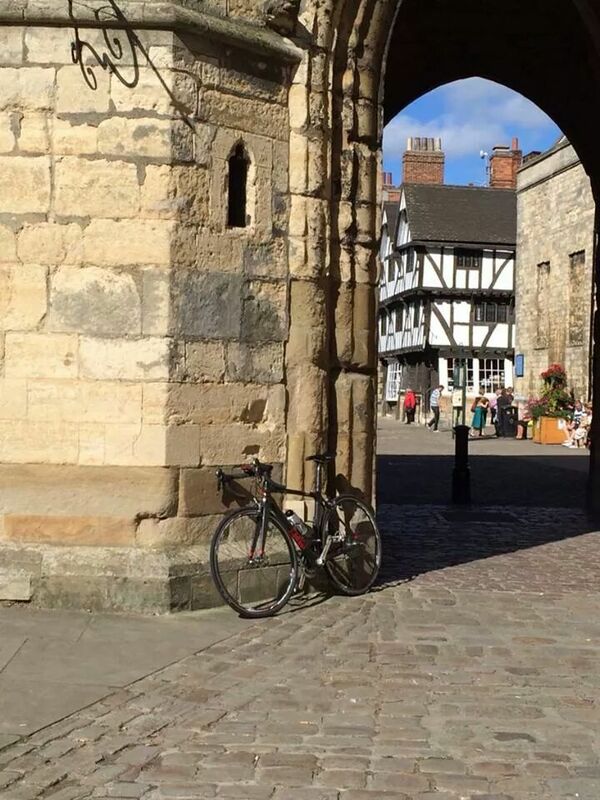 With bikes already being rented for our busy middle two weekends of June make sure to reserve your bike now at a great rate. We are about to close up for the winter months so have reduced some of our items in the Prompt Cycle Culture shop. All our products come with free world wide shipping as an option. The Col de la Madeleine links the Tarentaise & Maurienne valleys. Even though the panel at the summit reads 2,000m, the real height is 1,993m. 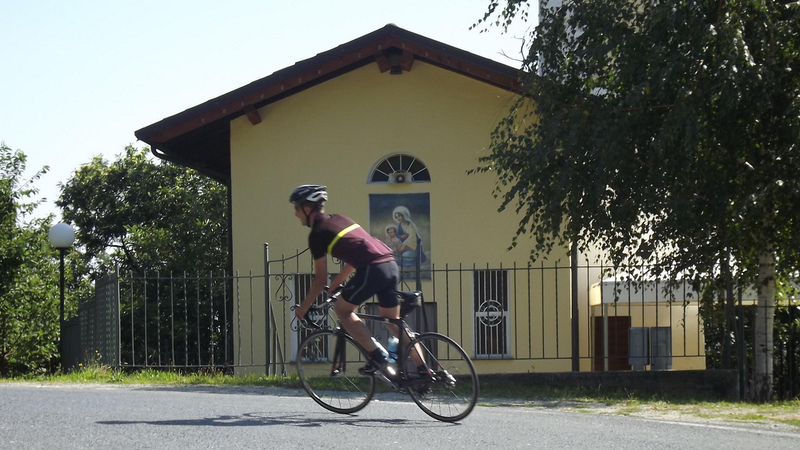 The Madeleine has been used in the Tour de France 25 times and also forms part of the Route des Grandes Alpes – a route developed by the Touring club de France to promote cyclo and automobile tourism whilst linking all the valleys of the Alps from north to south. The southern ascent of the Col de la Madeleine is 19.3km long at an average gradient of 8%. Starting from La Chambre, the climb is very regular – a constant battery of 8-9% through thick woodland. The ski resort of Saint-François-Longchamp provides a brief respite and the woodland clears. From here you can see road winding towards the peak of the Cheval Noir below which the summit of the col is perched. 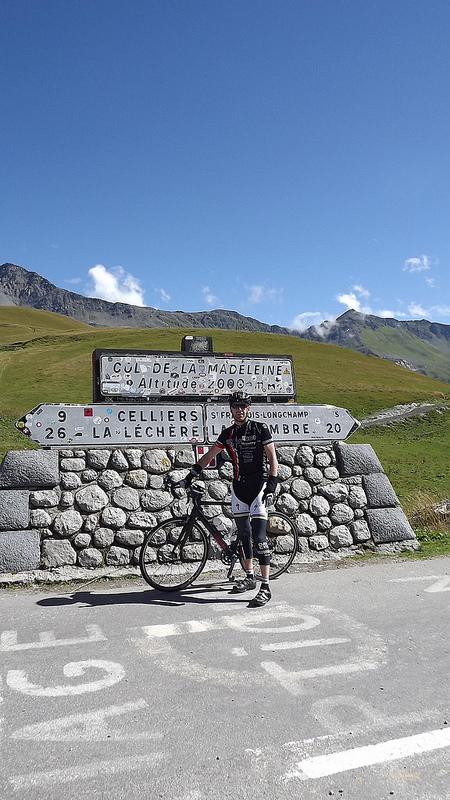 Last week Phil lead a vehicle supported tour to the Col de la Madeleine. 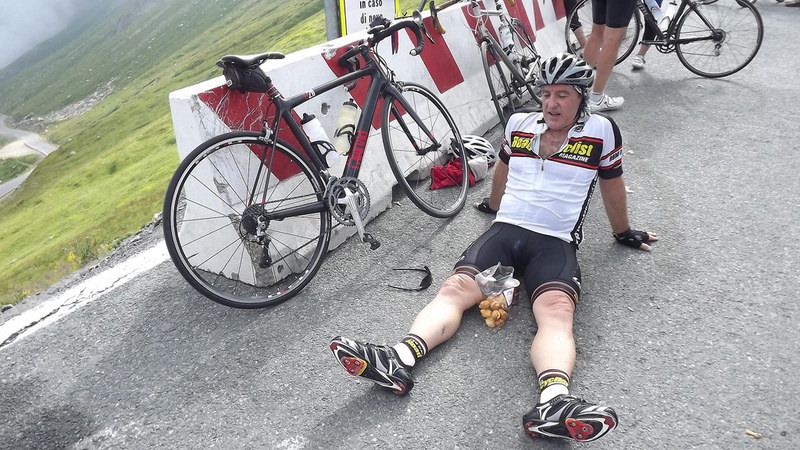 After dropping all but one at the top of the Croix de Fer, the guys descended towards La Chambre via the short climb up the Col du Mollard. From here they started the ascent of the Madeleine and met Phil at the summit. After the descent all but one got in the minibus to start the journey home over the Col du Glandon. The ‘one’- Crawford – decided Phil’s vehicle support was obviously not up to scratch and so decided to ride the whole route. 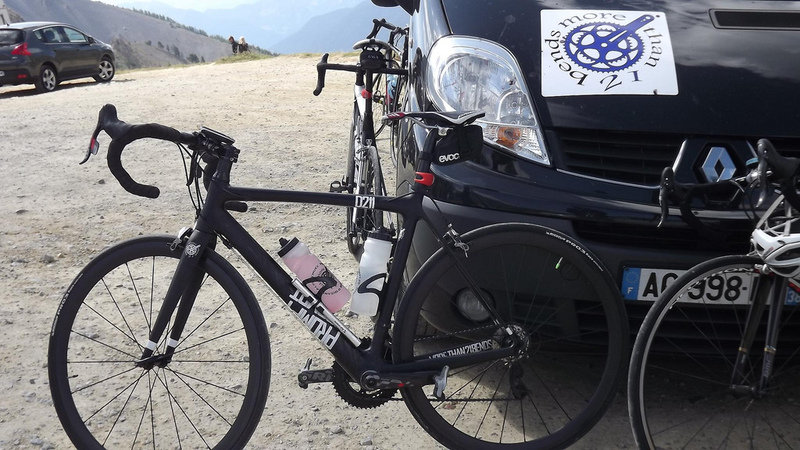 This monstrous ride takes in the Col de la Croix de Fer, Col du Mollard, Col de la Madeleine and finally the Col du Glandon before returning to Bourg d’Oisans. A ride of 180km with a total ascent of 6000m! 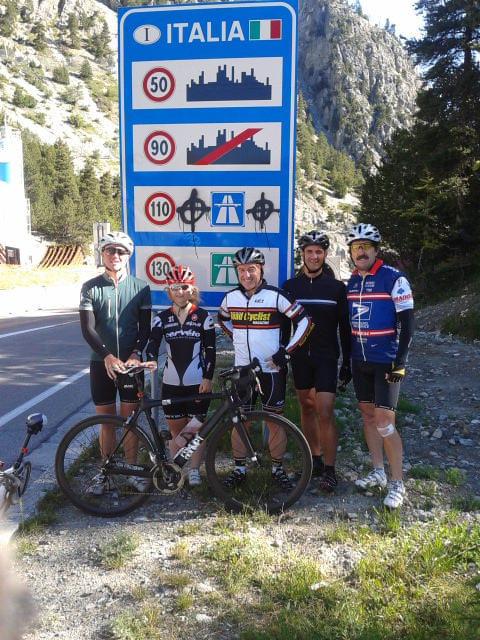 At the summit, Phil also met a Dutch group who were using PROMPT D211 rental bikes. They had also set out on aforementioned route! It was 32 degrees on the Galibier yesterday. The skies could not have been bluer or the riding more perfect. This is September in the Alps. Once again our guests had achieved a ‘bucket list’ ambition and the photos and smiles at the summit tell the story many times over. PROMPT bikes have been up and down these mountains for another summer, fulfilling these ambitions and adding to the stories that they tell their grandchildren, their friends and their work colleagues. On the way down our ‘opinion dividing’ green PROMPT was being nursed up to the summit by another customer. It looked great against the blue mountain sky. More Than 21 Bends had 5 Prompt D211 bikes out today on their trip to La Berarde as part of the Marmotte Big Col Tour.